Celebrities have had their hand in the fashion industry for many years. Everyone from Gwen Stefani to Beyonce have created their own fashion line available to the masses. Well now the incredible Betty White is taking the plunge into fashion. Who would have thought that at 88 years-old, she would gain such popularity again she could even think of launching a clothing line. In an interview White said that if it wasn't for Facebook fans she may have not agreed to do her now infamous appearance on "Saturday Night Live". She now stars in the new comedy "Hot in Cleveland" which airs on TV Land in the U.S.A. and on CTV in Canada. 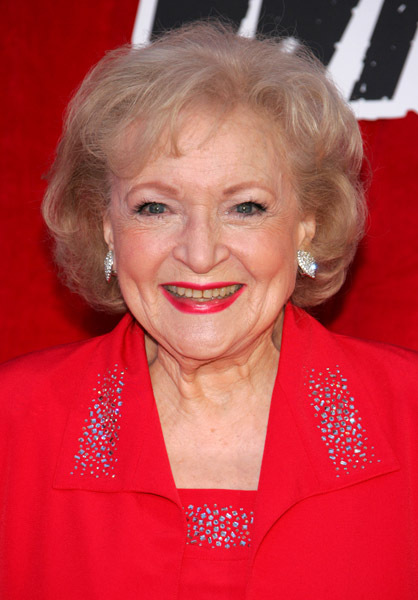 The show has been dubbed as having a modern twist on the "Golden Girls" for which she is best known. 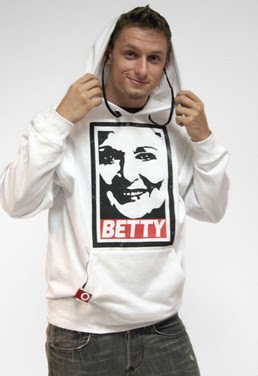 Betty White will be launching a line of T-shirts and hoodies that are targeted at the digital needs of this generation. The hoodies will have a jack where you can plug iPods and MP3 players along with washable earbuds. The clothing will feature prints of White's face with her name inscribed in a red and white. White will be donating a portion of the sales to the Morris Animal Foundation.